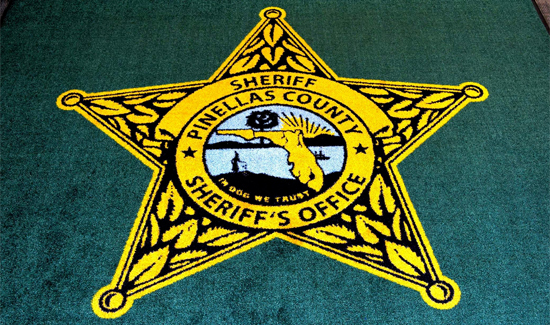 In Florida, a rather unusual rug reading “In Dog We Trust” has been auctioned off on eBay for a whopping $9,650 by the Pinellas County Sheriff’s Office. According to The St. Petersburg Tribune, the sheriff’s office says the winner, who wishes to remain anonymous, is a strong supporter of law enforcement and a dog lover who wanted to help a good cause. The money will be donated for local dogs in need. After the mistake was noticed, the rug quickly was rolled up and removed from the sheriff’s administration building, but reporters already had heard about the gaff. With media inquiries coming in, sheriff’s officials provided basic details: The rug had been in the building’s lobby for a couple of months, and the department was working on replacing it. Due to overwhelming media interest, the rug was put on display at a news conference the day after photographs of the rug began circulating online.